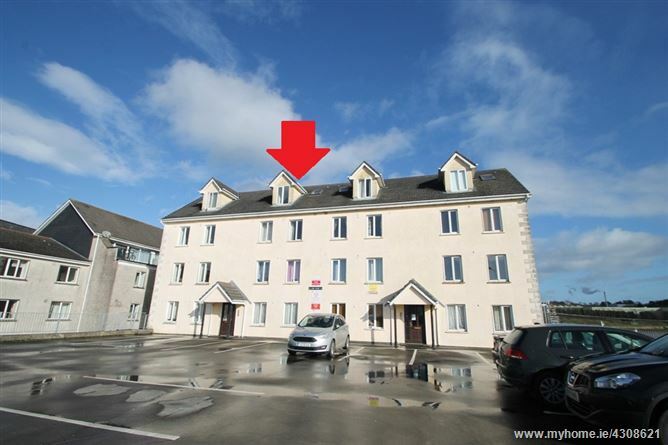 Superb one-bedroom penthouse apartment with it's own private roof terrace, overlooking the River Suir. Located in the popular Canada Square development, this top floor apartment comes to the market newly refurbished. The property provides circa 60m2 of accomodation, comprising of the hallway, openplan kitchen/livingroom, terrace, bedroom and en-suite bathroom. The heating and hot water are provided by economical off-peak electricity. Canada Square has an attractive annual managaement fee of only €700 per annum (2019). Residents benefit from off-street parking and communal rubbish disposal. Canada Square is a few minutes walk from the city centre, and only a short commute, by car or bus, from Ardkeen, Cork Road, IDA industrial estate and Waterford Rail station.